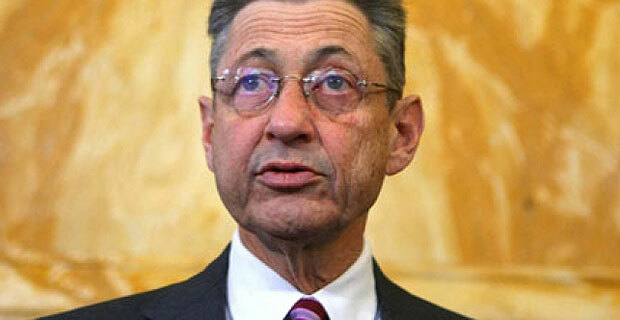 Sheldon Silver weighs in on the Park51 debate. Assembly Speaker Sheldon Silver is calling for the relocation of the controversial Park51 mosque. “They should find a suitable place that won’t cause the same controversy,” Silver stated at a press conference with Gov. Paterson. The Governor also offered his help in relocating the Park51 development. Discussions between the developers and the Governor have not materialized. Silver’s call for reconsideration came right before the Governor was set to speak with Archbishop Timothy Dolan to discuss Park51 and how to facilitate moving the controversial development. The controversy surrounding the development of a Muslim center near Ground Zero has only solidified focus towards its existence, according to the developers. In an article published by the Washington Post, Daisy Kahn, one of the founders of the development and wife of Imam Imam Feisal Abdul Rauf has vowed to not back down on the building and has blamed Republicans for the uproar caused by the development. She also noted that the organizers will be reaching out to 9/11 families. Our own site, BatteryParkCity.com has been contacted by Park51 to organize community outreach in our area towards alleviating worries our community might have towards the building of the community center and mosque in our neighborhood. Currently, Kahn’s husband, the Imam of the mosque is on a State funded goodwill trip visiting Middle East and Muslim nations. 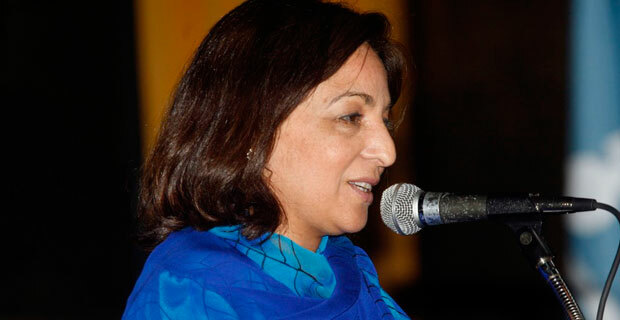 Also according to the article, Kahn has claimed that there hasn’t been overwhelming interest in the development outside the country, but she’s hoping that will change with her husbands international tour. Opponents of the Park51 mosque are found nationwide. Results from a CNN/Opinion Research Corporation poll today shows that opposition to the Park51 mosque is not limited to New York City voters — but nationwide. 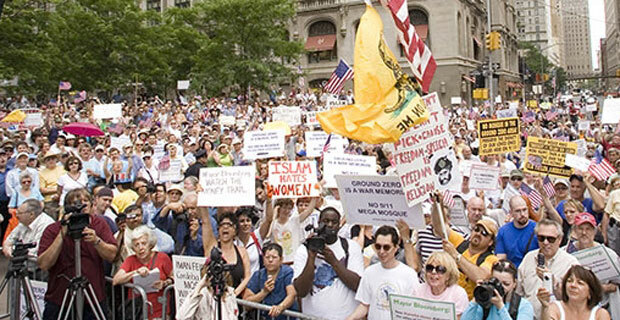 70 percent of all Americans oppose the plan to build a mosque 600 feet from the Ground Zero / World Trade Center site. While only 29 percent were in favor of the Park51 mosque. In terms of the breakdown of those polled, opposition crossed all political lines and age demographics. 54 percent Â of Democrats polled were against the development, while 82 percent of Republicans polled were against it. 70 percent of Independents polled were also against the building of the mosque. 6 in 10 people under the age of 50 oppose the plan. These poll results come after a recent Quinnipiac poll determined that most New York voters were against the building of a mosque at Ground Zero.